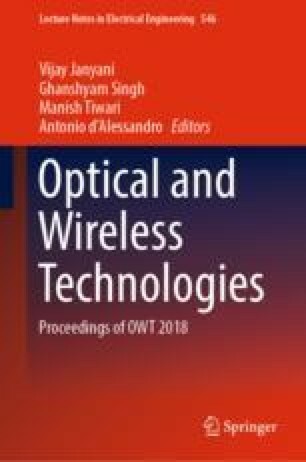 Design of a printed ultra-wideband (UWB) monopole antenna with three band notches is presented. The proposed UWB antenna uses circular and bevel shaped radiator while the ground plane has bevel shape with step notch to enhance impedance bandwidth. Microstrip line having 50 Ω impedance is used to feed the proposed antenna which operates in the range 3.24–14.27 GHz having nearly 11.03 GHz impedance bandwidth. The proposed triple band-notched antenna design consists of an inverted U-shaped and two C-shaped slots, all etched on radiating patch for suppressing interference from WiMAX (3.3–3.6 GHz) band, WLAN (5.15–5.85 GHz) band and X-BAND satellite communication system (7.25–8.4 GHz) band. Current distribution at each of the centre band notch frequency, radiation pattern at resonance frequencies and gain of the antenna are also analysed.